Prior to the WCC Tournament, UP will only be on the ESPN network one time.....and that's on ESPN2 at home against GU on January 3 at a time TBD. 39 games (pre-WCC tournament), and UP appears in 1 of them. I would have hoped that the game @UNLV could have been on ESPN, and @GU. The article says more will be announced, so I guess we can cross our fingers. I'm OK with not having the ESPN games for the sole reason of having 7 PM start times for conference games. 8 PM is late for those with little kiddos and Saturdays at 2 PM are right during naptime. Um, the kids' naptime. Right. VillaGorilla wrote: I'm OK with not having the ESPN games for the sole reason of having 7 PM start times for conference games. 8 PM is late for those with little kiddos and Saturdays at 2 PM are right during naptime. Um, the kids' naptime. Right. Ha-ha, you are so right VG.....however, once we learn of the games on other cable networks like Comcast NW, it could still cause you to lose a few winks....well, at night, that is. Hey…..the first official practice is this coming Monday at 1PM! If the team holds to past schedules, they’ll generally practice in the afternoons on MWF and the mornings on TTh. I’ve been on campus for some of the drills recently, and amongst the new guys, I’ve been most impressed by Gabe Taylor….I think his two years working with Joel Sobotka will really pay dividends…and he should see some quality minutes this year. Phillip Hartwich has also impressed me with his athleticism….although I don’t see him getting a whole lot of playing time behind Thomas, Riley, Voldy, and Gabe….but you never know. For sure he and Gabe will be BIG contributors next season. Good to hear, DD! I am looking forward to this season! There should be a pre-game brunch for fans and alums near the game...details to follow. I plan to fly to SFO on Friday or Saturday to soak up some of the good life there and depart from SJC on Sunday evening. DoubleDipper wrote: I plan to fly to SFO on Friday or Saturday to soak up some of the good life there and depart from SJC on Sunday evening. Detour to 15 Wing to pick me up on the way there? DeanMurdoch wrote: Detour to 15 Wing to pick me up on the way there? Hahaha, believe me, no one else on PN got that reference!! You know, there's also a 15 Wing at Joint Base Pearl Harbor-Hickam that would probably afford more golf in November than Moose Jaw. Either way....sorry, NO...the fuel cost would be prohibitive! DoubleDipper wrote: Either way....sorry, NO...the fuel cost would be prohibitive! Hey, I tried. I'll just have to save my pennies for a trip to the Tournament next time the Pilots get there. Great to hear an actual report from the 2014-15 Pilots. How about that, the least known of all the recruits is the one that might have the most immediate impact this year. Certainly will come in handy with Nicholas gone! I'm also glad to hear a good report about Taylor. I'm worried about the PF position. Voldy has a long way to go to become a consistent offensive threat, and he was quite foul-prone last season on the defensive end. PF will likely be our weakness... Unless Taylor is a real surprise. NoPoNeighbor wrote: PF will likely be our weakness... Unless Taylor is a real surprise. It is hard to say from watching preseason drills only, but it would appear that Thomas will play the 5 exclusively, while Voldy and Riley will play the 4 and 5 (giving Thomas the rest he'll need), and Gabe will play the 4 exclusively. I'm not sure where Philipp will fit in....but he's got such a long wingspan and is so athletic at 7'0" that the staff will have to find him playing time somewhere. OBTW....Voldy has really gotten himself in the best shape of his life....probably the best of the big men on the team. DoubleDipper wrote: Hey…..the first official practice is this coming Monday at 1PM! If the team holds to past schedules, they’ll generally practice in the afternoons on MWF and the mornings on TTh. Of the three coaching principles used when I was playing, 1) Fear 2) Sarcasm and 3) Ridicule....Coach Rev has done a great job perfecting #2. Coach Brown is definitely the quiet man on the court. Thomas is showing terrific leadership and mentoring qualities. Alec and Kevin were looking strong, confident, bouncy and quick. The five new guys obviously have quite a way to go....they're all talented, but it will naturally take a while for them to learn the system and how to play the game with WCC officiating (yes, that was mentioned often in practice). It would appear from today's emphasis that the team's identity is going to be lock-down defense, then get the ball and RUN! Bottom Line: I really like the way the guys worked together and supported each other.....on the other hand, they'll need all the remaining 29 practice days to be ready for their first non-exhibition game against Concordia-Portland on 11/14. If you follow the UP Mens Basketball page on FB you would have seen the video clip from todays practice. I am looking forward to seeing the team play this year but I have to admit it still hurts that I wont be seeing #32 in uniform. ....holy crap, does Rev ever look different. DoubleDipper wrote: Bottom Line: I really like the way the guys worked together and supported each other.....on the other hand, they'll need all the remaining 29 practice days to be ready for their first non-exhibition game against Concordia-Portland on 11/14. I didn't realize that Concordia-Portland game wasn't an exhibition until you wrote this. 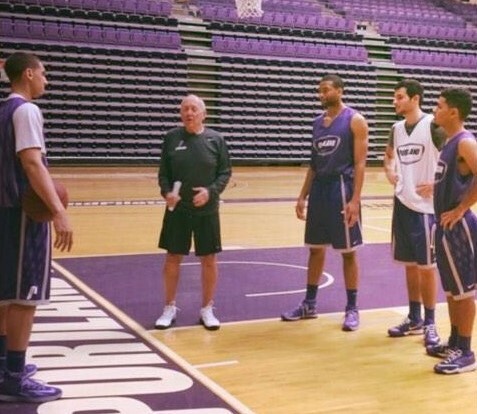 So I guess with only one exhibition on the schedule, the Pilots will get in one of those secret scrimmages again. Against Washington last year, anyone hear anything about an opponent this year? Maybe on the Nov. 1 weekend? DeanMurdoch wrote: So I guess with only one exhibition on the schedule, the Pilots will get in one of those secret scrimmages again. Against Washington last year, anyone hear anything about an opponent this year? Maybe on the Nov. 1 weekend? Shhhh....yeah it's a secret, but I believe you've already mentioned the opponent and date....up there! DoubleDipper wrote: Shhhh....yeah it's a secret, but I believe you've already mentioned the opponent and date....up there! Well, I guess you throw enough crap at the wall and eventually something will stick! Are you sure you haven't mentioned any other teams " up there?" And DD didn't say you mentioned the right team and date...together. Geezaldinho wrote: Are you sure you haven't mentioned any other teams " up there?" Geez, Geez. How many Malbecs did you have last night? Any guesses as to the Pilots record in their 12 non-conference games? Pomeroy's rankings should be coming out in the next couple of days. He'll predict either an 8-4 or a 9-3 record for the Pilots given their opponents, which I think is realistic. Related question - what is an achievable and realistic goal for this team? After seeing what USF did last year, I don't think there's any reason why this Pilots team can't grab an NIT bid with the talent that's coming back. 9-3 in non-conference, 10-8 in WCC to finish 5th, and a win in the tourney quarterfinals to end up 20-12 is perfectly reasonable for this team - and judging by last year, that would likely be enough to get into the NIT (hopefully the conference is again a two-bid league though, because I doubt the NIT takes three WCC teams). DeanMurdoch wrote: Any guesses as to the Pilots record in their 12 non-conference games? That would entail 3 road wins, which would be a good achievement. Adding a pinch more optimism in with the realism, I could see us going 2-1 in Nashville and 2-0 versus our in-state opponents. That would put us at 10-2 in non-conference. However, I'm equally wary of a major flub against a team like SJSU or Montana St. as I am hopeful for a win over OSU or Murray St. If we can just avoid bad losses, especially at home, I can deal with the expected losses. NoPoNeighbor wrote: If we can just avoid bad losses, especially at home, I can deal with the expected losses. My thoughts exactly... in the Reveno era, even in the good years, we have had some real head-scratching losses that held us back... Montana State, PSU, @LMU (I'm still bitter about that one...all we had to do was inbound the ball, they would have had to foul, and the clock would have run out... with that win, we would have claimed 2nd place in the conference and the double bye in the tourney...). On the opposite end of the spectrum (big games), I hope that by the end of the season pre-game preparation for elimination games is addressed. Rev's record in post-season tourneys (WCC, CBI) is attrocious.